(If you order two or more products from us, they may. parts, accessories, etc. for this Manufacturer Part Number. has been received. fee equal as Expedited. Guam, Puerto Rico, Virgin Islands, etc.). Cooling device not included - Processor Only. If you order two or more products from us, they may. parts, accessories, etc. for this Manufacturer Part Number. has been received. fee equal as Expedited. AM3 socket AMD CPU, FX-8350 with Wraith Cooler in the box. 4.0GHz, 8-core desktop processor, 16MB L2 cache, Black Edition in full retail box. AMD FX 8-Core Processor, Unlocked, Black Edition. AMD's next-generation architecture takes 8-core processing to a new level. Get faster audio encoding so you can enjoy your music sooner. Go up to 5.0 GHz with aggressive cooling solutions from AMD. Product Information Cooling Fan Not Included. CPU pulled from working unit and is in good working condition. Ryzen 7 1700 Processor. Used for just over a month before I upgraded to a 2700x. Tested and working perfectly. AMD FX 8350 Black Edition 4 GHz 8 Core Processor Condition is Used. Shipped with USPS Parcel Select Ground. Socket: Socket AM3 . Model: 8-Core AMD FX Processor Model FX-8300. eWiz is your best friend! Product Info. PRODUCT INFO. The manufacturer seals on the item must still be intact. Product Condition: New. Condition is Used. AMD Virtualization (AMD-V) Technology with IOMMU. - The industry's first native 8-core desktop processor for unmatched multitasking and pure core performance with "Bulldozer" architecture. 2nd Gen Ryzen. AMD Ryzen Master Utility. AMD Wraith Spire (LED) Cooler Included. AMD SenseMI Technology. Unlocked Processor. 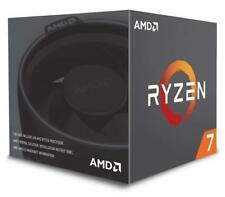 AMD Black Edition FX 9370 4.7GHz AM3 220W 8 Core (FD9370FHW8KHK) Processor CPU. Condition is Used. Shipped with USPS First Class Package. I have a GREAT high end processor for sale. If you are building a high end Ryzen system, this processor is a great way to get started. It has the following features AMD Ryzen 7 2700 Processor 8-Core 3.2GHz (4.1GHz Turbo). Condition is Used. CPU had never been overclocked. CPUMUST be used with a liquid cooler (not included). Standard air cooled heatsinks doNOT dissipate enough heat for the type of CPU. Condition is Used. I used this processor almost exclusively for gaming. It has been in storage ever since. AMD FX-8350 4000MHz 8-Core (FD8350FRHKBOX) Processor. Shipped with USPS Priority Mail. Installation guide and Original box. AMD Ryzen Threadripper 1900X (8-core/16-thread) Desktop Processor. Condition is Used. Shipped with USPS First Class Package. 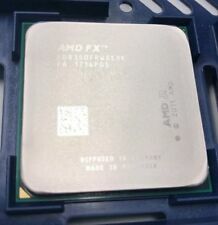 *USED* AMD FX-9590 4.7 GHz 8-Core AM3 Processor Part #: FD9590FHHKWOF. Condition is Used. Part Number: OS4376OFU8KHK. 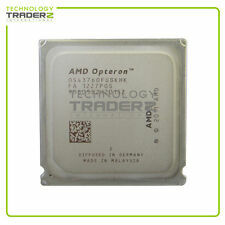 AMD Opteron 4376 HE 8-Core 2.6GHz 3200MHz 65W Processor. Bus Speed 3200MHz. All the logos used are propriety to their respective owners and Technology Traderz does not have any authority over them. We will do whatever we can to right the situation. Mistakes happen. AMD Ryzen 7 2700X 3700MHz 8-Core (YD270XBGAFBOX) Processor. Condition is Used. Shipped with USPS Priority Mail. Works great no issues. For saleAMD 8-core FX-9590 4.7GHz CPU AM3 FD9590HWKHK. You buy my stuff and I buy your stuff. FD8350FRW8KHK is an OEM/tray microprocessor. AMD FX-Series. Type CPU / Microprocessor. CPU part numbers. 1.4oz / 38.3g (CPU). Processor core Vishera. The number of CPU cores 8. AMD-V / AMD Virtualization technology. The item may be a factory second or a new, unused item with defects. If you order two or more products from us, they may. parts, accessories, etc. for this Manufacturer Part Number. has been received. AMD Opteron 4376 HE 8-Core 2.6GHz 3200MHz 65W CPU Processor. Type: OPTERON 4376. Manufacturer: AMD. SAN Storage. Any problem with an item must be reported within warranty period. RAID Cards. Speed: 2.60GHz. 2nd Gen Ryzen. AMD Ryzen Master Utility. Socket AM4. Unlocked Processor. Lightly used Ryzen 7 1700X just used for motherboard testing. Included is a used Cooler Master Hyper 212 Heatsink/Fan with the AM4 adapter which does a nice job of cooling the CPU. A photo is provided showing the CPU and Hyper 212 installed in one of the test motherboards. AMD FX-8320 Vishera 8-Core 3.5 GHz (4.0 GHz Max) Socket AM3 125W Desktop Processor, Black Edition. Default TDP / TDP 125W. Base Clock 3.5GHz. Max Boost Clock 4.0GHz. No bent pins. # of CPU Cores 8. It was pulled out of a working system due to an upgrade. 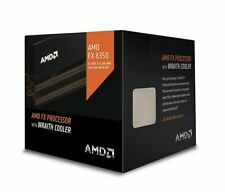 AMD FX-8350 Vishera 8-Core 4.0 GHz (4.2 GHz Turbo) Socket AM3 125W Desktop Processor with AMD Wraith Cooler. Default TDP / TDP 125W. Wraith heatsink and fan included. Max Boost Clock 4.2GHz. Base Clock 4.0GHz. AMD FX-9590 Vishera 4.7GHz Socket AM3 220W 8-Core Desktop Processor - Black Edition FD9590FHW8KHK. AMD BALANCED SMART CACHE Shared L3 cache (up to 8MB), improved scheduling and pre-fetch capabilities, 64-ways (16-ways/sub-cache), increased data queue sizes, and coherency for eight-cores. 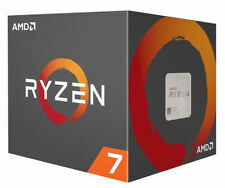 AMD Ryzen 7 2700 Processor with Wraith Spire LED Cooler - YD2700BBAFBOX. AMD Ryzen 7 2700 Processor with Wraith Spire LED Cooler. 8 Cores/16 Threads UNLOCKED. Size:Processor | Style:Processor. 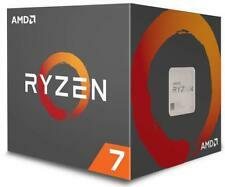 NEW AMD RYZEN 7 1700 8-Core 3.0 GHz (3.7 GHz Turbo) Socket AM4 65W YD1700BBAEBOX Desktop Processor. AMD Ryzen 7 1700. Socket AM4. Thermal Design Power 65W. Max Turbo Frequency 3.7 GHz. AMD SenseMI Technology. AMD FX 9590 8 core 4.7Ghz-5Ghz Turbo. 220 watt TDP Unlocked CPU FX AM3 Socket. THIS CPU IS A BEAST TO POWER : Fits into an AM3 socket but will (REQUIRE) a mother board with an 8 pin & 4 Pin CPU Power connector to run stable. Upgraded my entire pc, no longer need this processor.